Step 1: Plastic pellets are melted down into a plastic tube. Step 2: In the extruding process the tube is heated, stretched, and cooled to form the hull. The machine that does this is called the “Riefenhauser” after the German engineer who built the first model. Step 3: Hulls are cut to length as they come off the Riefenhauser. They then move along to the next stage in the process. Step 4: The case head is stamped out of sheets of metal (brass or steel depending on shell type). A series of strikes of the stamp produces a fully-formed case head with flash-hole. Step 5: The hulls move to the primer insert and heading machine to get primers and case heads. Step 6: Still untouched by human hands, the shell moves on to the loader where it gets its powder charge, shot wad, and pellets. Step 7: The hulls are then crimped, labeled, and readied for inspection and packing. 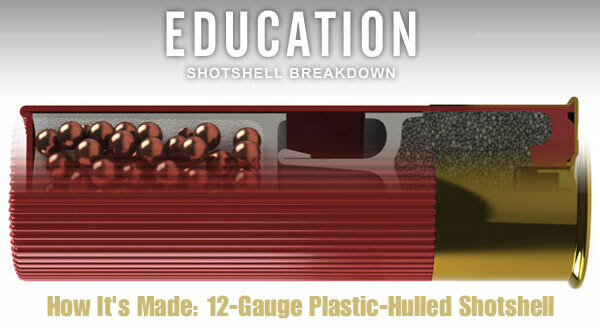 Share the post "How Plastic Shotshells Are Made"